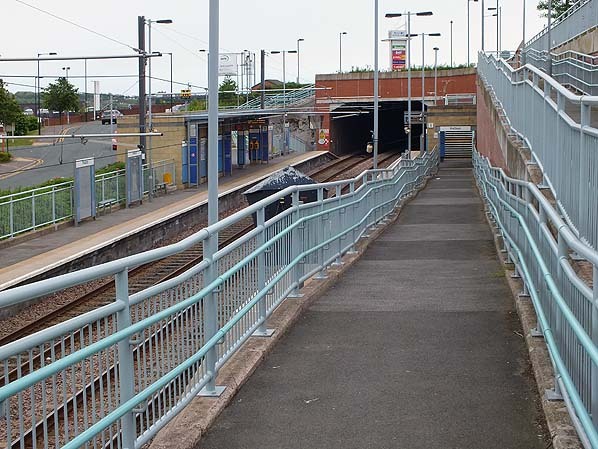 Notes: This two platform station on the Sunderland – South Hylton line opened on 31 March 2002. At Pallion the original route of the Sunderland – Durham route has been abandoned, and the Metro station is on a new alignment about 100yd north of its predecessor. On each platform there are buildings in breezeblock, the larger of the two being on the Sunderland-bound platform where an awning provides shelter. 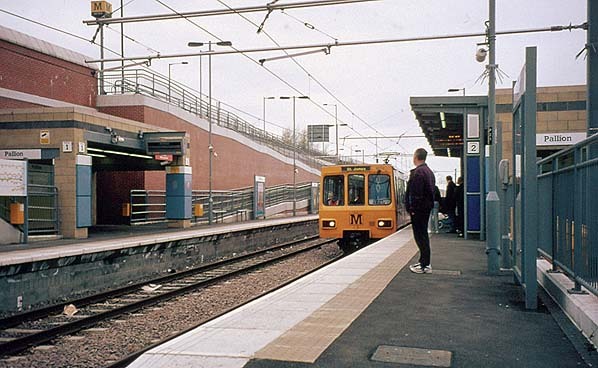 On 5 April 2003 a Metro train for St James enters the north platform of Pallion station. The principal building, styled simply in breeze blocks with a small awning, is on this platform. 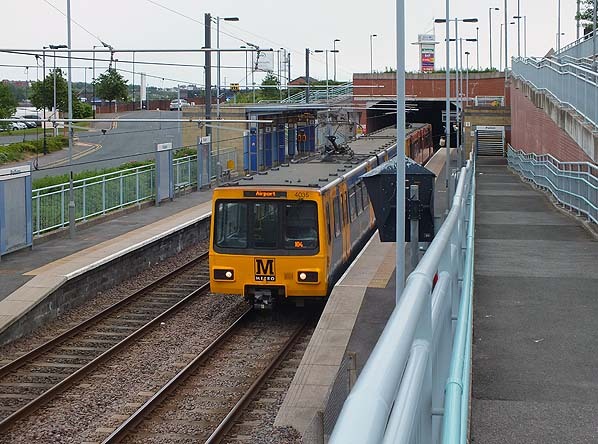 Pallion Metro station was opened in 2002 on a new track alignment north of the former Sunderland – Penshaw line. This view is looking north-east towards the Metro station in June 2013. Looking west down the access ramp to Pallion Metro station in June 2013. The site of the former Pallion station, closed by BR in 1964, is above and to the right.